Psychology, like most other sciences, has its own set of tools to investigate the important research questions of its field. Unlike other sciences, psychology is a relatively new field with methods and practices that are evolving at a rapid rate. With this textbook, we introduce students to the fundamental principles of what it is like to think like a psychology researcher. We also hope to connect with the Canadian audience to show them the fantastic research being generated in Canada as well as provide them with an accurate picture of the Canadian context for ethical human research. This textbook is an adaptation of one written by Paul C. Price (California State University, Fresno). The first Canadian edition (published in 2013) was authored by Rajiv S. Jhangiani (Kwantlen Polytechnic University). This second Canadian edition was co-authored by Rajiv S. Jhangiani (Kwantlen Polytechnic University) and I-Chant A. Chiang (Quest University Canada). 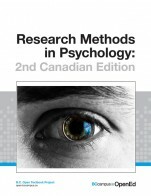 Research Methods in Psychology - 2nd Canadian Edition by Dr. Rajiv S. Jhangiani, Dr. I-Chant A. Chiang, Dr. Paul C. Price is licensed under a Creative Commons Attribution-NonCommercial-ShareAlike 4.0 International License, except where otherwise noted. There is a good balance of breadth and depth for the relevant topics presented. These are major and important concepts to understanding research methods in psychology. I was impressed by the breadth of topics covered. Information relevant to each stage of the research process is provided, including learning to review literature and formulate a research question, considering ethical principles when designing a study, deciding how to measure the constructs, choosing a research design (experimental, non-experimental, survey, and so on), and writing a research report. In addition, more detailed information regarding statistical analyses (descriptive and inferential statistics) are presented at the end of the textbook. The authors discuss the major areas of consideration when designing and critiquing research that are included in prominent textbooks for purchase – including: reliability, external validity, internal validity (differentiating between mundane and psychological realism), confounds inherent in different experimental and quasi-experimental designs, and psychological measurement. The authors also take the extra step to by providing links to additional resources so that particular topics could be addressed in more depth (if the instructor or student wishes) without increasing the size of the current textbook. Despite my excitement surrounding the content of the textbook, I was underwhelmed by the content included in the “Key Takeaways” section at the end of every chapter’s subsection. While I appreciate having a very brief review of the major point presented in the section, the key points are oversimplified. For example, in Chapter 1 (Understanding Science), they mention that Psychology is a science because it takes the scientific approach to understanding human behavior – but there is no description of what the scientific approach is (which is an equally important key point). Key Takeaways would also be enhanced by including a list (if not a short glossary) of the major terms that were bolded in the chapter. Also, a current topic that should be included but is not discussed in detail is distinguishing between credible and bogus journals. This is topic important for students in research methods to be aware of and be provided with tips when doing a literature review. There are no noticeable errors in the content of the information. Concepts are described accurately in text and within the glossary, and the examples provided are effective. Full references are provided for each citation at the of the chapter subsection (when reading online) or at the bottom of each page (when reading PDF version). This makes it easy to verify the information presented and for readers to obtain more detailed information regarding the research, if needed. The examples presented are appropriate for illustrating research design principles. In order to ensure that the material was up-to-date, the authors include current controversies and considerations in research methods. For example, the May Labs Replication Project is discussed, a current example of an ethical violation, banning of p-values in some journals, and open science practices (all which are highlighted as the authors’ updates of the second edition of the textbook). Given the organization of the textbook (particularly the subheadings included in each chapter), it appears relatively easy for the authors to make necessary updates to the content in the future. The examples included are based on interesting classic research or current hot topics within psychology. Being highly cited and in the current spotlight, the topics would most likely be relevant and interesting to students. As a critique, however, most studies focused on social psychology research with very few examples pertaining to biological psychology or neuroscience. The textbook would be better balanced by providing examples throughout that collectively adequately covered major areas in psychology. This is a very easy to read textbook. The language is appropriate for junior university or college students, and is free from too much jargon. Any technical terms are sufficiently defined. Frequently, the authors provide examples to clarify the terminology and concepts which stem from real research (and thus are meaningful for students learning about research methods). In addition, the same research study is used to illustrate concepts throughout the chapter. This consistency makes it easy for students to learn and apply the concepts. There is consistency in the language used to present the concepts and terminology. Major terms (that appear in the glossary at the end of the textbook) are presented in bold. As stated in my comments regarding the organization of the chapters, there is consistency regarding their framework. The textbook is organized in a manner for which instructors (and students) can select smaller sections for reading throughout the course. 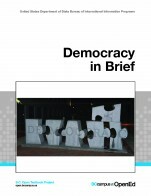 A variety of subsections are included in each chapter. When reading the textbook online, each subsection appears on its own page. Therefore, when assigning readings an instructor is simply able to indicate which subsections are relevant for students to read – and then when selected from the Table of Contents, only the information within the selected subsection is presented to the user. [As a note, since the online version does not include page numbers, their method of presentation requires that titles of each subsection needs to be included a course outline if the entire chapter is not being assigned for reading.] Furthermore, the subsections that are included in the Table of Contents also are further subdivided into smaller sections. Therefore, there is never large blocks of information in any section. In addition, this organizational method facilities the re-organization of material to follow the topics presented in any individual course. Each chapter begins with a brief overview of the chapter’s concepts usually in the context of a research study. 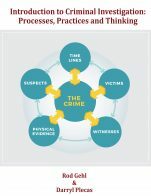 Following this, each chapter includes (1) the learning objectives (focusing on defining, describing, or explaining concepts presented in the chapter), (2) the content organized into smaller sections, (3) key takeaways (as a brief review of the major concepts presented), and (4) exercises that will enable students to test their knowledge and to apply their knowledge to novel situations. The learning objectives very closely match the key takeaways. This structure is consistent across all chapters and is efficient in presenting the information in a clear, organized fashion. For the most part, the headings are appropriate and adequately represent the concept discussed. For example, in Chapter 5, the headings “Implementing the Measure” and “Evaluating the Measure” do not adequately capture the information in the subsections. As the former section discusses reactions of participants to the measures, and the latter section discusses evaluating the measure in the context of your data (not before selecting the measure). The entire textbook is organized in a fashion that is relatively consistent with the development of a research project: learning to review literature and formulate a research question, considering ethical principles when designing a study, deciding how to measure the constructs, choosing a research design (experimental, nonexperimental, survey, and so on), and writing a research report. Given that this textbook is designed for learning about research methods in psychology, it makes sense that more detailed information regarding statistical analyses (Chapter 12 & 13) are presented at the end as more supplementary information. I appreciated that the online version of the textbook provides readers with the option of navigating the sections in a linear or nonlinear fashion. First, readers may click the next or previous page arrows. This retains the organization of chapter subsections presented by the authors. Alternatively, a Table of Contents icon is always present and thus readers can jump to other chapters or subsections by choosing one from the drop-down menu provided. I did not come across any problems related to accessing the links and videos provided within the textbook. The figures and tables included are relatively simple, and serve as sufficient examples of the corresponding concepts. The textbook does not contain any images or videos that do not directly support the content. Seductive details (or irrelevant images designed simply to increase the interest of readers) were not included in the textbook, and thus, the text is free from distractions. All images are clear and legible – there were no distortion issues that impacted the content of the images. The only complaint I have is that when clicking on images to enlarge them the figure caption does not appear. In the heading levels are somewhat unclear. It would enhance the organization (so that readers are clear which are major vs. subordinate headings) if the authors followed APA style. There are no noticeable grammatical errors. I noticed one spelling mistake in Chapter 5 (Experiment Basics): “Considerfield” should be “consider field”. The text does not include any culturally insensitive or offensive material in any way. The examples of research discussed in the textbook are appropriate. Although a working knowledge of statistical procedures is helpful when learning research methods, the textbook does not require that students should have completed a statistics course prior to reading the content. Two chapters cover hypothesis testing, descriptive statistics and inferential statistics for those who wish to incorporate more statistics into their courses. Also, the chapters are written at introductory levels and thus do not require previous knowledge on statistics. The Canadian Edition includes a discussion of the TCPS2 ethical principles relevant for Canadian research, online data collection using examples of online survey sites hosed in Canada, and spelling corresponding to Canadian conventions. In Chapter 9 (Survey Research), the authors provide a link to the Patriot Act for those interested in using online survey sites hosted in the United States; however, there is a lack of discussion in this chapter regarding similar considerations of using Canadian survey sites. a. Although there is a detailed Table of Contents included, the textbook would further be enhanced by including an index at the end of the book. Alternatively the authors may consider inserting page numbers or embedded links within the glossary for easy reference to the original discussion of the concept in the textbook. This would be especially beneficial for the PDF print version, since the search option that accompanies the online version is not available. b. Chapter 8 (Complex Research Designs) introduces the assessment among multiple variables and mentions multiple regression as an appropriate statistical technique. A introduction to multiple regression would be beneficial in Chapter 13 (Inferential Statistics) as a basic null hypothesis test. c.	There is a lack of discussion for when research ethics approval from an IREB is necessary. How does TCPS2 define research, and when is review required? Overall this book provides an impressive introduction to the research process, starting with the generation of research questions discussion of the need to conduct a literature review. The section on research ethics is more impressive and comprehensive than comparable textbooks. This text serves an an excellent introduction to quantitative research. It overviews major types of research designs, data collection methods and sampling types in an understandable way. The book even provides an introduction to APA style, which to me is an essential part of presenting research that is often overlooked or undervalued. APA style is a critical component of writing research papers in many programs. This discussion of the need for APA style in this text is thought provoking and likely to encourage buy-in from students. Helpful examples of how to present statistics in APA format are presented throughout the text. At times, students may wish to explore further to fully grasp the statistical tests being presented. Masters level students may require more information before making a decision on the best statistical tests to use in their research projects. This book excels at describing quantitative research for learners. It clearly states and meets learning objectives for each chapter, which has been particularly helpful in identifying relevant sections of the text. The description of statistical tests included in the book is more comprehensive and understandable than other comparable textbooks. Yet, it could be strengthened by describing additional statistical tests. There are some statistical tests not covered in this text that are common in nursing (Chi-square for example). However, for an introductory text the tests described are appropriate. 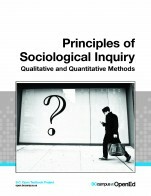 As stated in the chapter on qualitative research, the book is primarily about quantitative research. In Nursing, qualitative research is taught in depth. Therefore, one would need to add a second book to address qualitative research. It is good that it is briefly addressed in the book (in Chapter 7, grouped with Non-experimental research) and clearly states that qualitative research is beyond the scope of the book. Perhaps adding the word Quantitative to the title would be appropriate. This book does not address philosophy such as ontology or epistemology, which may be expected in some programs. Some of the terminology may be new or confusing for undergraduate nursing students, yet appropriate for other programs. However, I feel it is still well suited to an undergraduate level. As a nurse I had no difficulty understanding new terms that were presented in this text. The glossary at the end of the textbook is particularly useful for learners. It could be enhanced with page numbers or links to the section where students could read more about the terms. I find the glossary covers many key terms. I have particularly enjoyed the supplementary material in this book, including cartoons that I found engaging. There was a wide variety of supplemental material used, improving the usefulness of the book. Figures, such as the one illustrating the range of expected scatterplot points for Pearson's r, strengthens the book by providing a visual example of concepts for students. I am particularly pleased that the authors strongly recommend that readers complete the TCPS 2 tutorial to obtain their certificate. The examples and current issues discussed make the book quite interesting. No major biases or errors were noted in the book. Any issues that may be potentially offending to some groups (as discussed under diversity) are discussed in an objective way. The wording is tactfully done to avoid offending readers. This book is extremely well laid out and easily modified/adapted/updated. It is current and highly relevant. As a nurse, I found the discussion of the self-correcting nature of science using the hand washing example particularly interesting. While the examples are drawn from psychology, many are either applicable to everyday life or relevant topics to nursing as well. Throughout the text examples related to diseases and human behavior are used that would be relevant to nurses. Contemporary issues are discussed that are important to consider for researchers. These issues promote equality and sound research and will not become obsolete. Therefore this book is timely and relevant in disciplines other than psychology. I found it easy to read. It is worth noting that I do not have a psychology background - I teach nursing. There are some terms that my students needed to slow down their reading to comprehend what the authors were saying, but adequate context is provided to understand these new terms. Most terms are explained in memorable and simple ways that is accessible for students. The narrative is interesting and accompanying examples are relevant. They are also used in various points in the book, which helps students understand the overall picture being discussed. At times terms are over simplified, but appropriate for beginners. For example, the difference between basic and applied research is more than just what the purpose of that research is. That discussion is likely beyond the scope of this text. The brief introduction to terms is still useful for undergraduate students. Theories are exceptionally well described. In the chapter about theory it would have been helpful to expand on the definition of a model. Students often have a difficult time differentiating the terms concept, model and theory. I particularly like how in the chapter about qualitative research it was noted that "the relative weaknesses of quantitative research are the relative strengths of qualitative research." However, there is some wording in the qualitative chapter that can be improved. For example, we teach that "objectivity, reliability, validity, and generalizability" are not issues in qualitative research but rather criteria that do not fit with the ontology and epistemology of the paradigm. While the chapter is accurate, this section could be misinterpreted by novice learners. The layout of the book is exceptional, consistent and clear. Terminology is well used and explained throughout the book. The glossary is particularly useful for learners new to research terminology. The book is laid out perfectly for easy assignment of readings. Content is easily found. There are a few places that text could use a subheading or image to help break it up, but the bolding of key terminology helps to offset this. It makes good use of references. The way the content is laid out and presented it would be easy for an educator to assign specific parts of a chapter to use in an individual course, Students in my class were able to easily identify specific sections of the chapters that were relevant to them. The headings are, for the most part, clearly related to the content under them. The logic is excellent. Again, reinforced by learning objectives and clear headings. Levels of headings could be more appropriately used to make major sections stand out. However, content areas are easily identifiable. The organization of the textbook is logical as foundational concepts are explained before more complex concepts and statistical methods. Students could read the text front to back. I had no issues with finding information, or linking to supplemental content. Images and tables support the narrative and reinforce key learning in chapters. None noted. Sentence structure and grammar was particularly appropriate for students at an undergraduate level. No insensitive or offensive language was found. In fact, in the opening of chapter 1 they start by debunking the stereotype that women are more talkative than men. 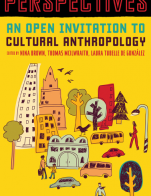 Cultural differences are noted throughout the book to potentially impact findings. Moreover, the authours specifically address the need to be objective in writing. The book could be enhanced with more culturally diverse examples. In the section about APA style the textbook identifies the importance of language for avoiding offending readers as well as scientific objectivity and accuracy. They specifically talk about presenting ideas in an unbiased way and use examples of sexual orientation and terms that identify individuals with a disorder. The use of these examples demonstrates the authors' sensitivity to diversity and inclusion. However, while unavoidable, the assertion that homeopathy is a pseudoscience may offend some cultural groups. It is acknowledged in the textbook that many people hold beliefs that are not empirically tested. The discussion of the rationale for being critical of a variety of forms of pseudoscience is appropriate and important for academics to consider. This evidence based opinion of pseudoscience would need to be balanced with the need to provide culturally congruent care in fields like nursing. The information in this chapter would be a good starting point for a class discussion about dealing with clients who believe in homeopathy. If professionals come across as too judgmental of homeopathy clients may withhold vital information about opting to try such treatments. While this discussion is beyond the scope of this textbook, it is an important consideration for client care. Perhaps acknowledging that some forms of alternative medicine are evidence based would help to offset potentially offending these groups. I am currently recommending this text to students and have recommended it to my colleagues. The book is excellent and would serve students in nursing and other disciplines well. The use of real-world examples and discussion of medicine makes this text particularly appropriate for nurses. The supplementary information and tables are quite useful. It would also be useful to include summary tables of statistical tests and what they are appropriate for within the associated chapters. As a non-statistician I frequently use tables like this to critique the appropriateness of statistical tests used in research studies during class. Such a table would need to include the level of measurement as well as the purpose of the test being used. Table 5.1 is excellent for identifying the impact of level of measurement on the types of tests that can be done. However, I find that students often have a difficult time differentiating parametric and non-parametric tests when it comes to choosing the best one. Overall this text makes an understandable introduction to quantitative research. The discussion is clear and engaging. As mentioned earlier, I particularly enjoyed the supplementary material in this textbook. While it may not cover everything in a particular course, it is a must read for students new to quantitative research. Covers basic theoretical knowledge and builds through translation of research questions and hypotheses to deriving theories, research, psychometrics and statistical design. Figures are clear and well done. Most examples and theories are within the last 10 years and have been largely accruing further support. In discussion of variable type, perhaps discuss continuous variables. Otherwise, concepts thoroughly explained and clearly delineated. Yes. Visuals were beneficial and easy to comprehend. Sections appeared short but this would only serve to aide a novice reader in their organization of the material. Section summaries were useful in terms of repetition of important pieces of information. All visual aides are clear and relevant. Yes. Correct pace for the student demographic.